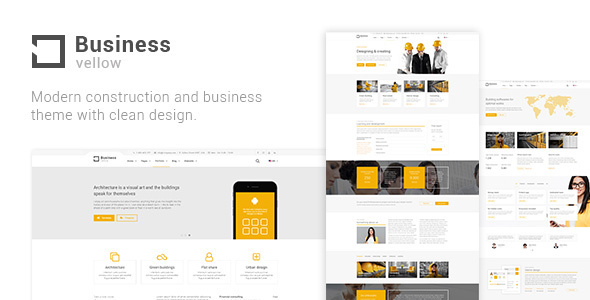 User friendly construction and business WordPress Theme, constantly updated and growing. Built with WPTF, the most powerful and advanced framework for develop modern websites in WordPress, HTML and JQuery. Enjoy the extreme customization power and a very big set of modern components, features and options. You can use it for every business like company, construction, yellow, industrial, transports, logistic, fullpage, agencies. CHANGES LOG == V 1.0 == Enjoy the theme. Images and videos from demo site are not included. Compatible with WPML, WooCommerce 3.1.x, WooCommerce 2.5, Bootstrap 3.x. Yellow Business has been tested with browsers IE11, Firefox, Safari, Opera, Chrome, Edge.